So, two weekends ago, TJ and I were watching TV when we saw a Pizza Hut commercial advertising some pizza with cheesy bites around the edge in place of a crust. I thought it kind of seemed weird (how do you hold a slice of pizza without a crust?! 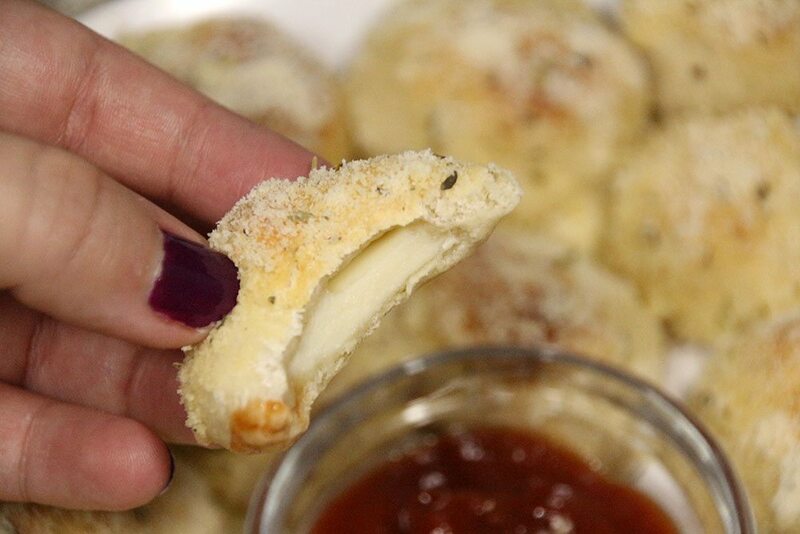 ), but I did think that the cheesy bites by themselves would be pretty good. 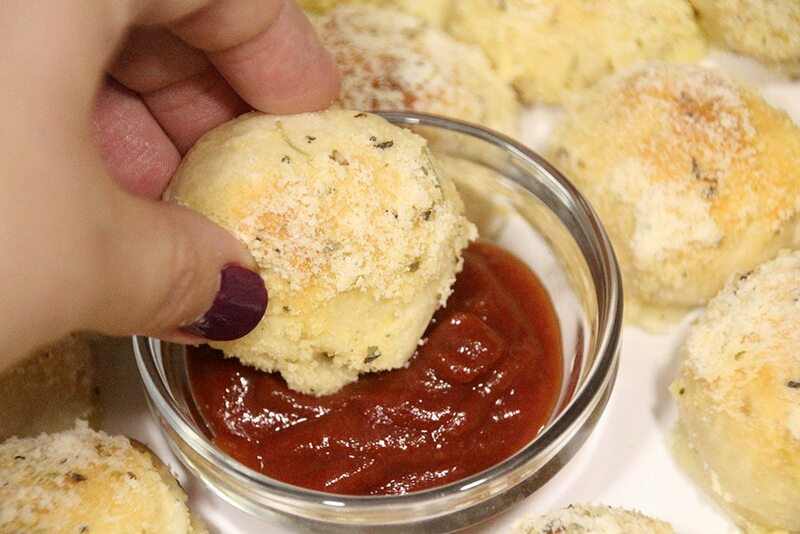 After TJ and I talked about how you could possibly eat a piece of pizza without a crust, I told him that I was going to try making our own cheesy bites, sans pizza. They ended up being so easy and delicious! I mean, it’s bread and cheese – what’s not to love, right? 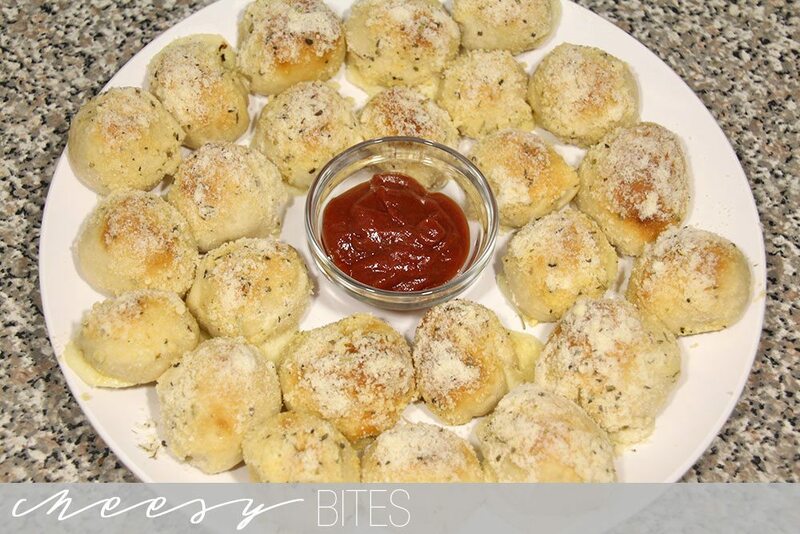 These will be absolutely perfect during football season, and they’re equally perfect for a game night with friends. I think these might just be your new favorite thing make. 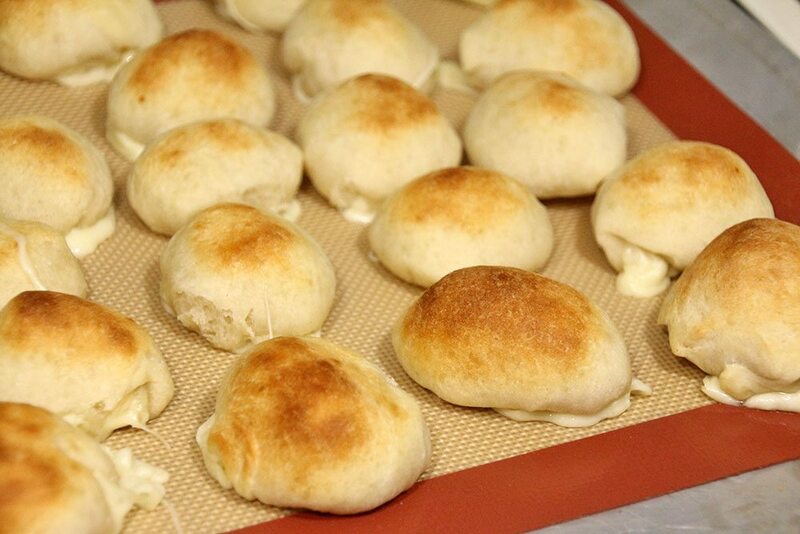 Roll the pizza dough out onto a silicone mat (or parchment paper). Use a pizza cutter to slice the dough into 30 squares. 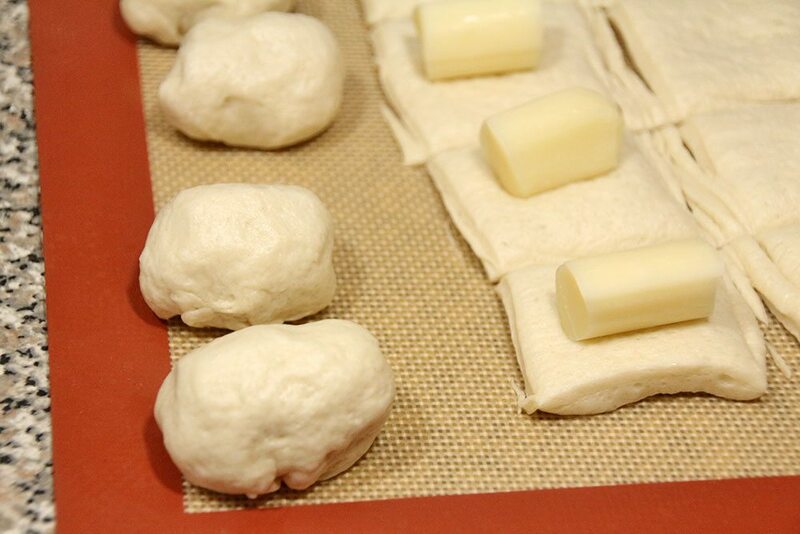 Cut each string cheese stick into fourths and place on the dough squares. 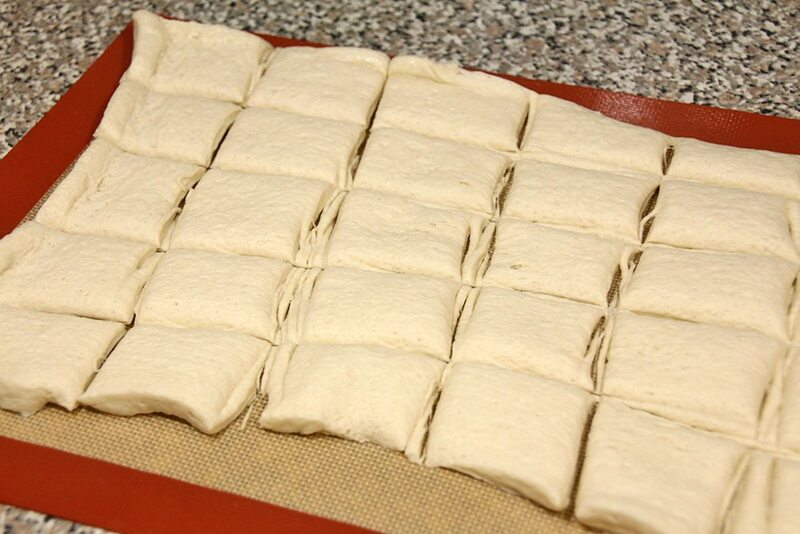 Wrap each piece of dough around the cheese, pinching the seams to seal. Transfer the mat (or parchment paper) to a baking sheet and bake at 425 for 8-10 minutes, or until the bites are golden brown. 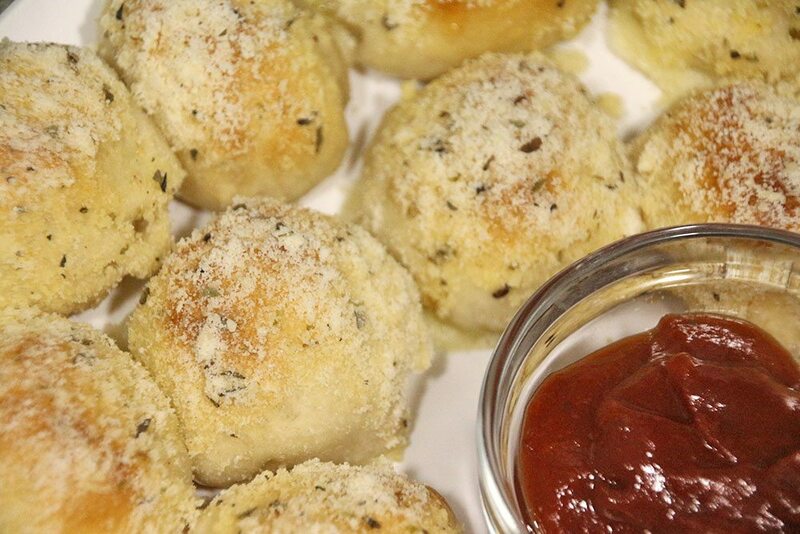 Some of the cheese might ooze out, but they’ll still be delicious! 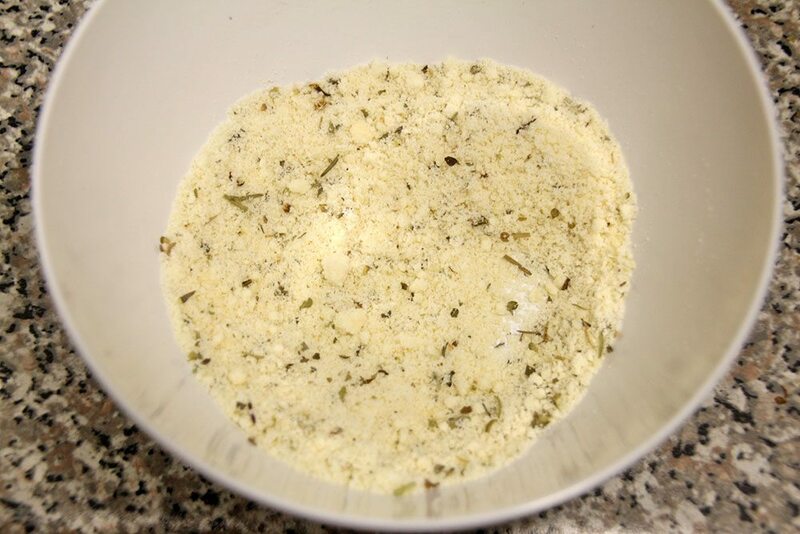 In small bowl, combine the Parmesan cheese, garlic salt, and Italian seasoning. 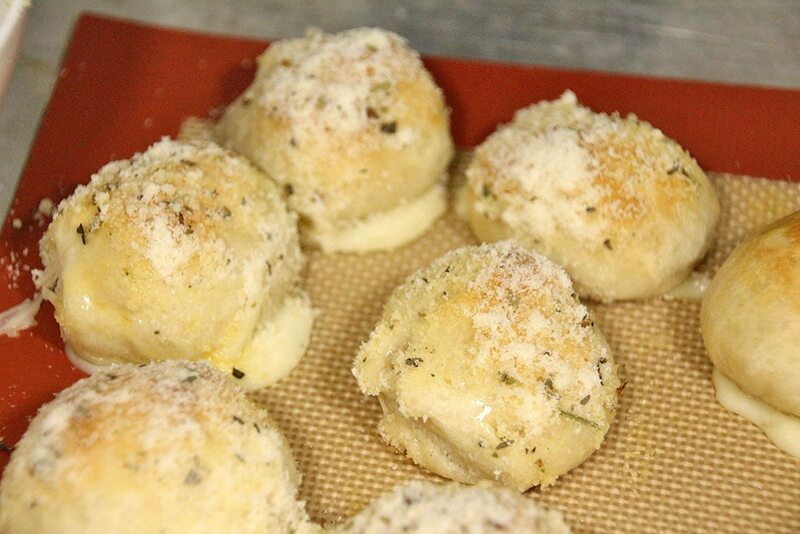 Brush the butter over each bite and roll the bites in the Parmesan mixture.